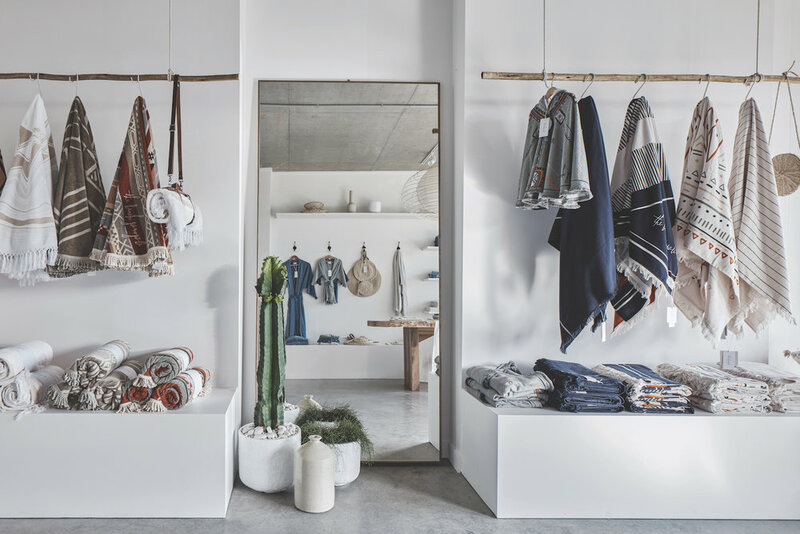 We are so very lucky to have the flagship store of one of Byron Bay’s most notable brands, The Beach People, right in the heart of Habitat. We had a quick chat to owners and co-founders Emma Henderson and Victoria Beattie ahead of their Petite Gathering event this Thursday, 4th April. Thank you both so much for taking time out of your busy schedules to chat with us! A simple question to begin – Where can we find you and your label? Emma: We both live in Kingscliff. We have a warehouse and office space in South Tweed and our flagship store at Habitat in Byron Bay. So how long have you been working in the region? When did you establish your business? Victoria: We started The Beach People in the summer of 2013 in my tiny beachside shack in Kingscliff. We had a back shed that our husbands used to shape surf boards and drink beer in, but we kicked them out as soon as The Beach People took off and converted it to an office and shipping station. That only lasted a year though, and we quickly moved into our space in South Tweed. Sounds like a great time! Your business really took off so quickly. What was the attraction of Habitat to open your flagship store? E: When Vic and I drove into Habitat for the first time we thought to ourselves what a great space. It has a calm tranquil feel about it. As soon as one of the Habitat team showed me the space they wanted us to take, I knew we had to move in. I could see the potential in the area. I could see myself working in and designing from the shop daily and it felt like it was the right thing for us at the right time. Just the perfect fit - so does this mean you and your team support the community ethos of Habitat? V: The Beach People is a Lifestyle brand. We design beautiful yet functional products that enhance everyday life. We share the same purpose as Habitat and that is a lifestyle space that enhances everyday life through heath & wellbeing, shopping experiences and exceptional food all in a stunning architecturally designed space. E: That is actually what I have personally loved about being at Habitat over the past 6 months. Meeting our customers face to face. Seeing what they love about or collections and hearing their feedback. For the past 5 years we have only been online so it’s great to meet our people in the flesh. We are for all ages and all people. 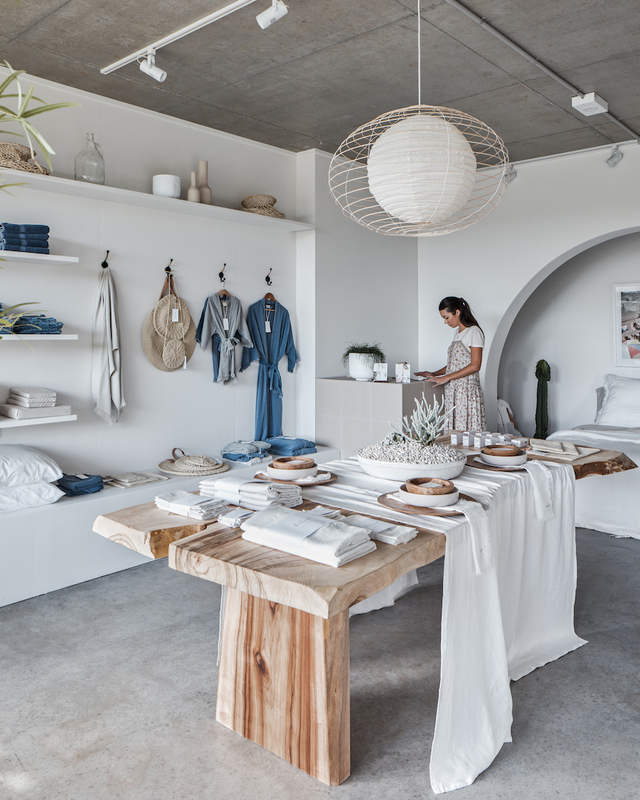 We stock product from a sweet little beach cart to take your little ones to the beach in, linen & eucalyptus bedding, of course Beach towels of all kinds and so much more. The Original Roundie being our most known and loved product. Do you have any upcoming plans you can share with us? V: SO much happing this year. This month we launch a new collection made from 100% upcycled Denim – We are doing all we can to move The Beach People in a more sustainable direction. This year we have collaborated with some talented artists and designers for this Summer so stay tuned!! Lastly ladies, what do you love about the work you do? E: So many ups, downs and pinch me moments all in one day! Ha! My favourite is seeing everyday people all over the globe enjoying the products we create. Vic and I see every post, every comment and we are so grateful for our community - it’s the best! The Beach People Petite Gathering event takes place this Thursday 4th April, 9am-12pm. The Beach People are open Monday to Friday 9am-4pm, and Saturday 10am-3pm. Follow their journey on Instagram @thebeachpeople, Facebook and thebeachpeople.com.au.